Travelling with young children is both stressful and tiring – and not just for the children’s parents. One of the oft-repeated headaches of flying long-haul is the inevitable child kicking the back of your seat or crying for the duration of the flight. For long-haul passengers with Etihad Airways, however, those complaints may well be a distant memory. Over the past few months, the airline has been training 500 ‘Flying Nannies’ to understand child psychology and behavioural patterns to assist parents with unsettled children on board. 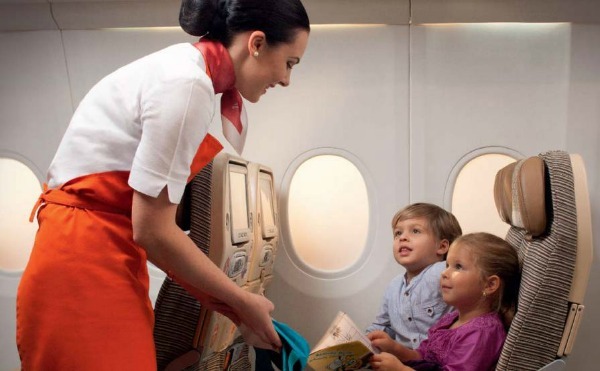 The nannies are set to the task of distracting children with games, assisting to serve their meals and helping parents to change milk bottles, as well as provide advice for connecting flights. Supplied with special kits containing basic arts and crafts items, such as stick-on eyes, straws and stickers, the nannies are also trained in the art of origami and turning paper cups into hats. It remains to be seen whether the introduction of the in-flight nannies will distance Etihad from the competition, but noise-sensitive travellers everywhere will no doubt breathe a (quiet) sigh of relief. And with some of the best airline food around, you’ll be happy for those nannies as you’ll be able to savour your prime fillet steak dinner while your children are entertained. 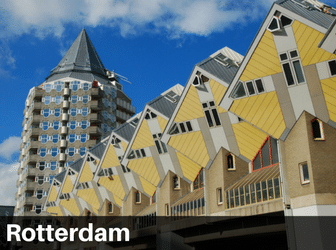 Originally from Northern Ireland, Emily came to the Netherlands for her boyfriend and a masters degree in Physical Geography. She enjoys photography, baking, and her cats… preferably not all at the same time.